Treasurer: James Shirron, Financial Secretary: Richard Pariseault. This is Holy month and a great time for renewal and blessings with the Lord and your fellow brothers and sisters. Remember we all said that we would say the rosary as much as possible. 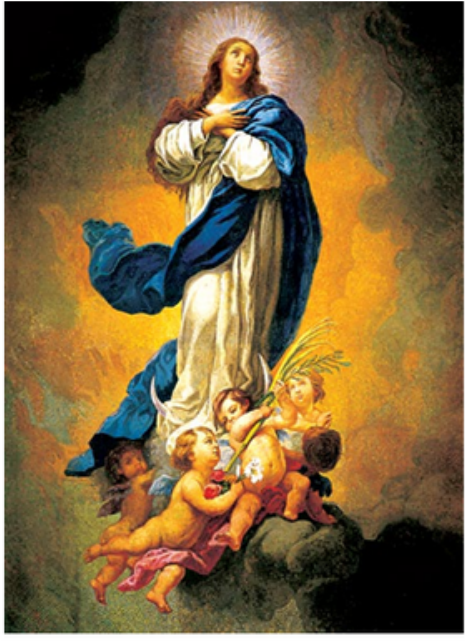 I challenge everyone to say your rosary daily and with your family. Jesus taught us to pray and set the example of what he wanted all us to live by. Today it is a real challenge to disregard all the bad news reported, but making time to share with God is special. April 27th we will hold our annual Easter Egg Hunt at Purcell Park. The hunt will begin at 11 am and hot dogs and chips will be served. The eggs will be set out in age groups. Come and join us and invite other families to come and have fun. 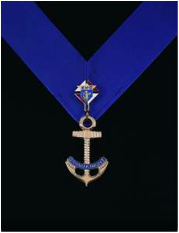 Rex is the Grand Knight and has been Grand Knight two different terms. They both help with leading and participating in all Knight events. Rex has been a Knight for 27 years and he is a Past Grand Knight and a Former District Deputy. He and Martha are very active in the church. They serve as Ushers and Greeters as well as Extraordinary Ministers of the Eucharist. Martha has been the Church's Secretary for the past 26 years and at the end of this month, the 31st, Martha will be retiring. Her heart and dedication will be missed. Wayne is always volunteering to help with Knight a church events. He Has been a Knight 9 years. The Knights of Columbus is urging its members and other Catholic Americans to pray for our Country. Please remember our Brother Knights needing our prayers also pray for or troops here in the United States and Over Seas. Finally remember to pray for the unborn and their mothers. Remember also to pray for the Protection of Religious Liberty and our Country as a whole to be pleasing to God. 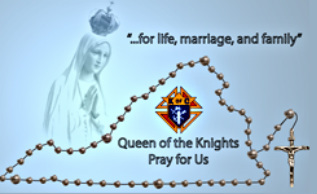 Please Pray the Rosary for the Respect for Life & World Peace, Remember: Knights are Mary's Strong Arm!